ESP Ultra Fine Bait Drill & Needle Convenienct tackle box size with hi-visibility handles. 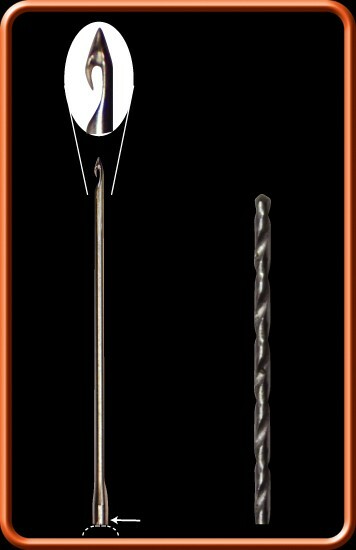 Ultra fine 1mm diameter drill produces smaller neater holes. Matching 1mm diameter needle has low profile barb with no sharp edges to fray or damage braid. Increased diameter at this point is useful for opening up the hair loop. All these features make the E-S-P Bait Drill & Needle easy to use and reduce splits and breakages. 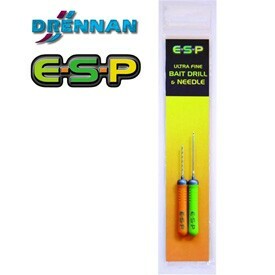 FREE Delivery on all Drennan Needles over £100!! !